Are the walls and floor of your garage already full? 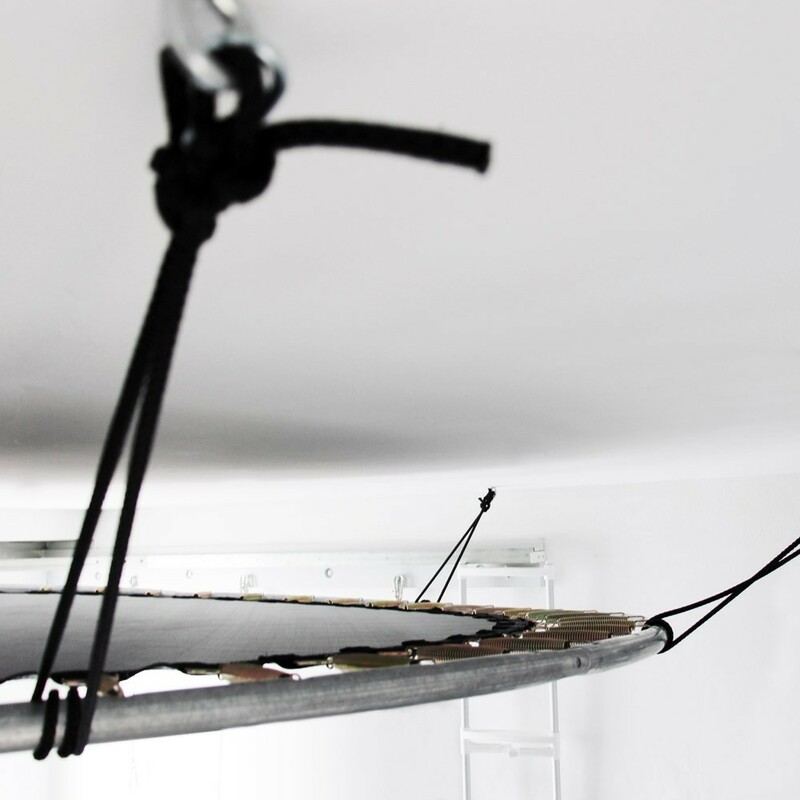 Create a new storage space using your ceiling with our garage storage! It is the same shape as a trampoline and has all its strong points that create an available open space. 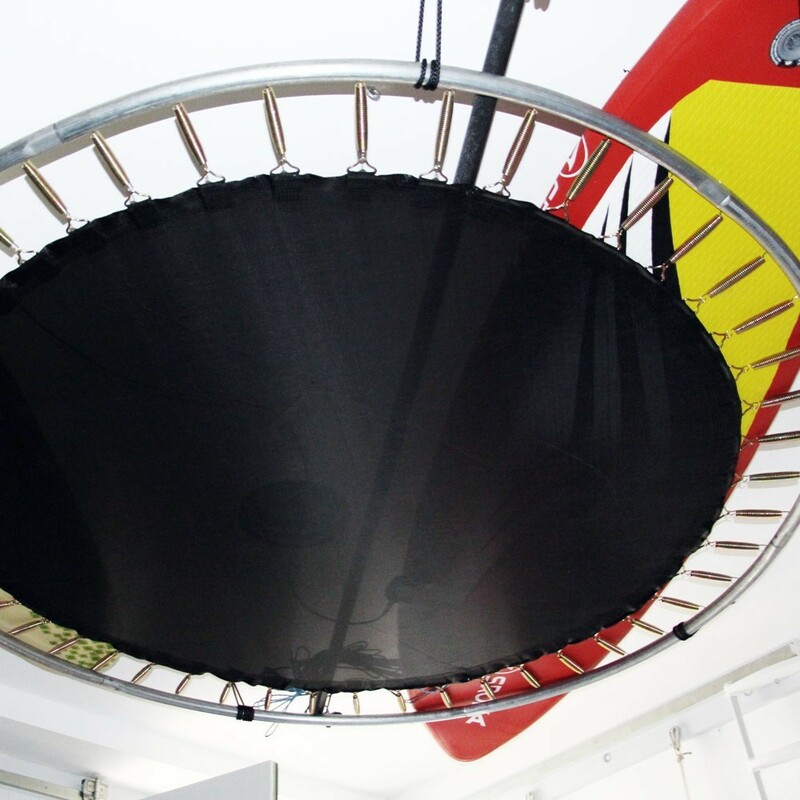 - Up to 100kg load, this garage storage has an original design, similar to a trampoline, providing a large discreet storage space. - Galvanised steel framework, treated against corrosions and a tensioned canvas reinforced by 6 rows of stitching will avoid any deformation under the weight of your objects thanks to its 54 springs. 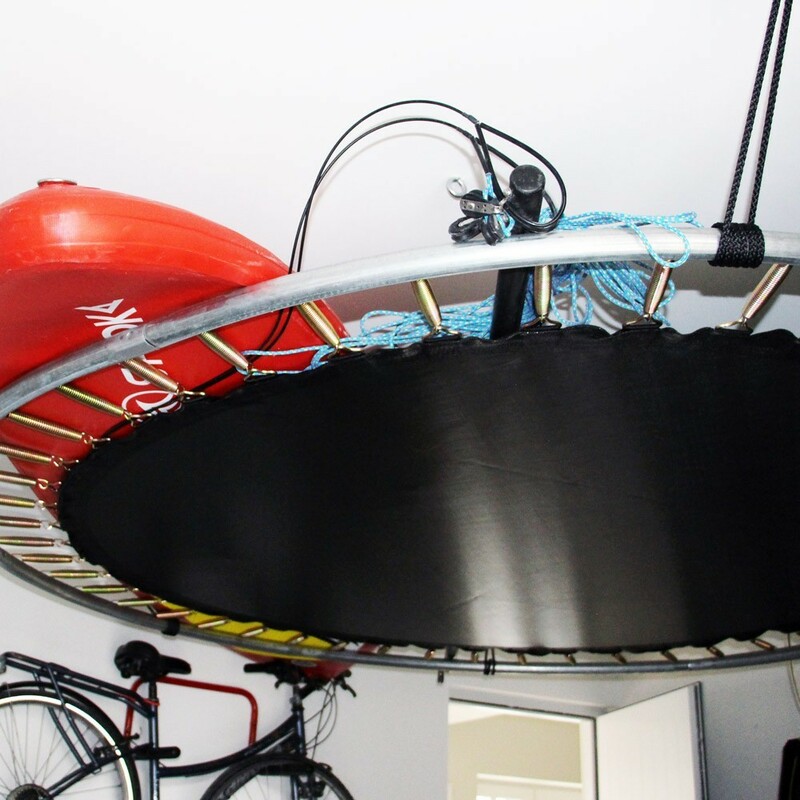 Similar to a leisure trampoline, this garage storage is designed to resist to moisture and negative temperature. - A large storage surface to exploit. Adaptable to all sorts of spaces. This platform will easily fit in a space of your choice. Indoors or outdoors, you just need a roof: wood, concrete, INP beams, to secure the storage platform. 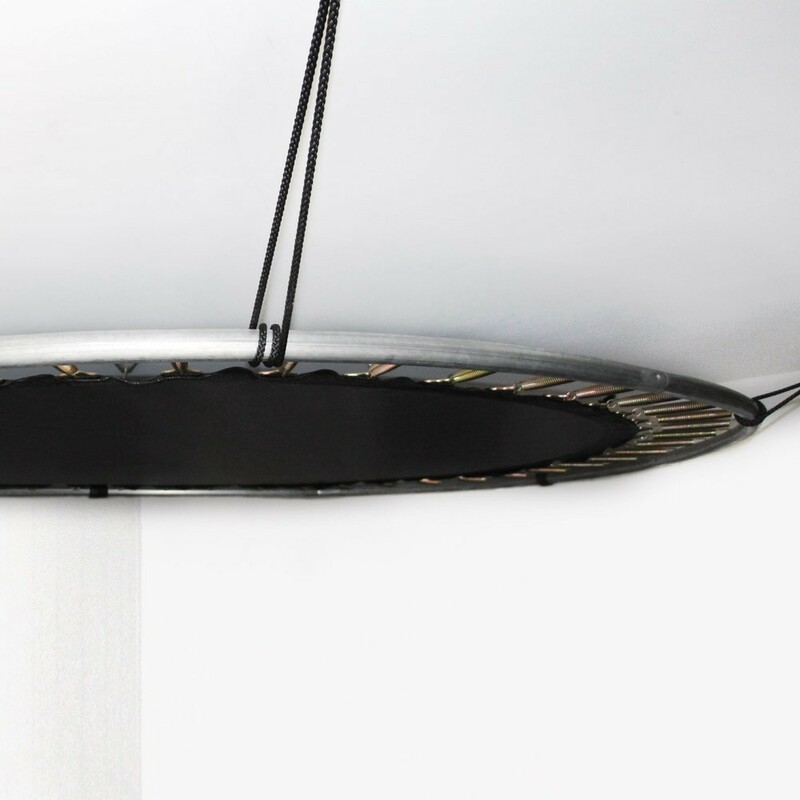 - A tension cord allows you to adjust the height of the storage platform to your needs. 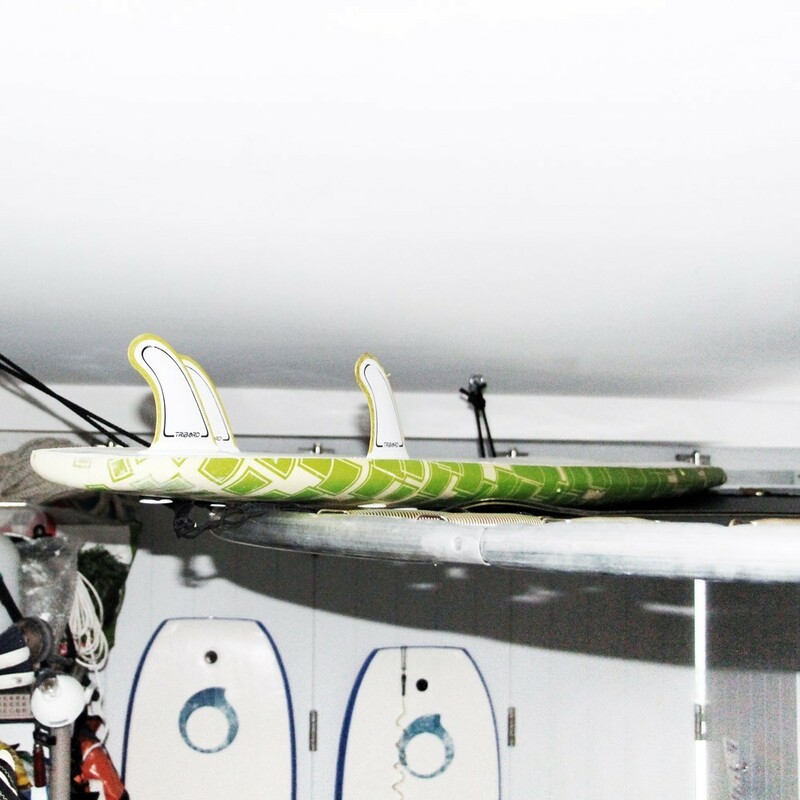 this garage storage can be modulated according to the objects it holds. 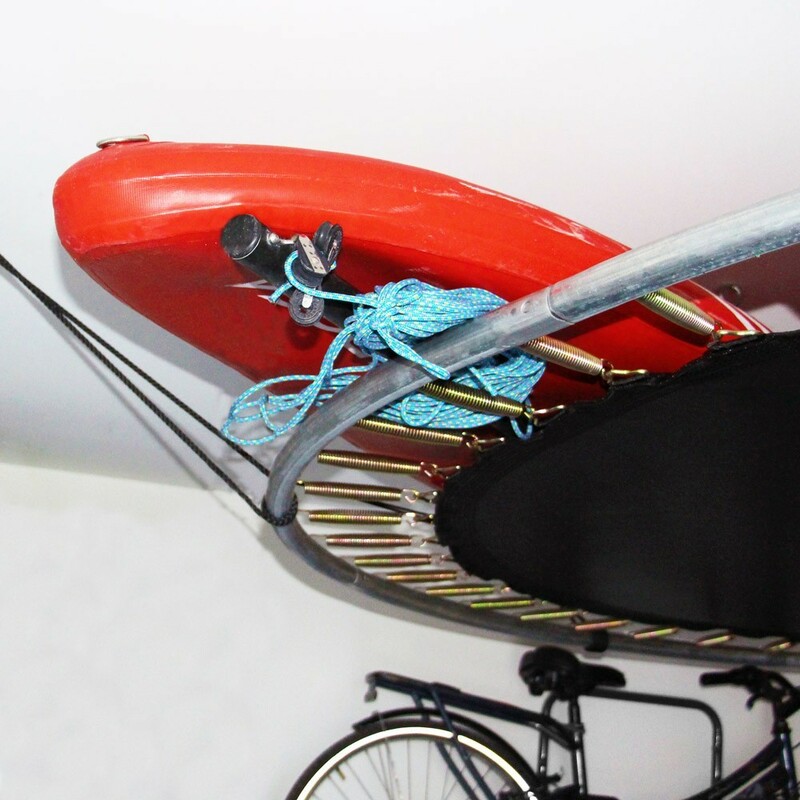 - Ideal for not too heavy bulky objects like suitcases, surfboards, canoes, rugs, ladders, snow chains, etc. 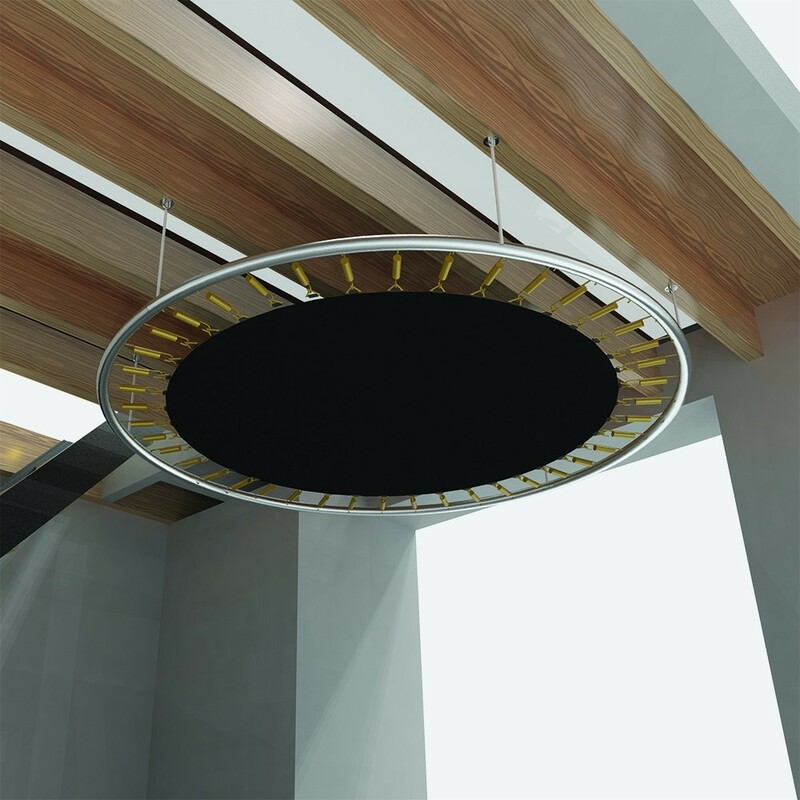 Its circle shape allows you to see what you are storing. You no longer need to move everything to see what's hiding in the back! 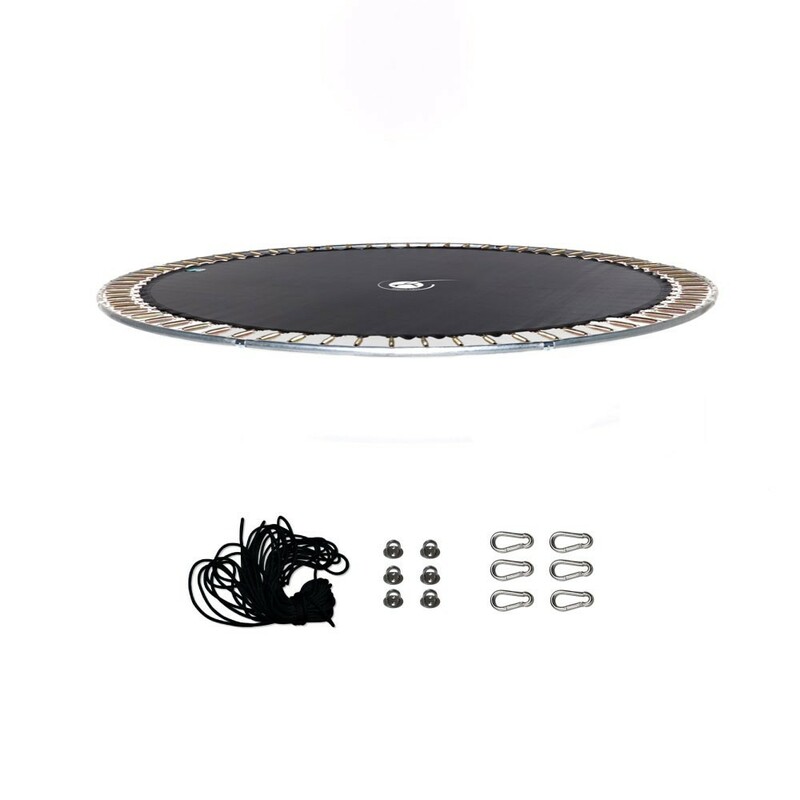 - Delivered ready to assemble: in your parcel you will find: a frame, a jumping mat, 54 springs, a cord and eye plate fixing system, that is easy to install. All you need to do is put it all together!